CampusBookRentals.com rents textbooks to college students across the nation saving them hundreds of dollars every semester. 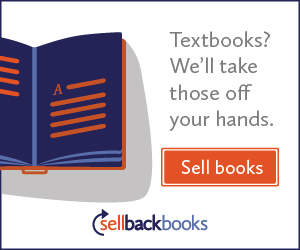 We make it simple, fast and profitable for college students to sell books. They don't want to be stuck with old textbooks on their shelf that they are never going to open again, so help them get rid of them!